Good to Great Schools Australia has welcomed new independent directors drawn from national education and business backgrounds. Peter Chandler is a former member of the Northern Territory Legislative Assembly. As Deputy Chief Minister and Minister for Education, Peter introduced Good to Great Schools Australia’s Literacy in Remote Schools program into remote Northern Territory schools. Peter is a recipient of a Winston Churchill Fellowship and currently General Manager of Operations at FoodBank, Northern Territory. Reverend Bill Crews AM is a Uniting Church minister highly regarded for his work supporting Australia’s most disadvantaged people. He is chairman and founder of the Exodus Foundation, co-founder of the Life Education Centre, and CEO of the Bill Crews Charitable Trust, which operates literacy programs in New South Wales, Queensland and the Northern Territory. Bill is a recipient of the Rotary Foundation’s Paul Harris Fellowship and is one of Australia’s 100 National Living Treasures. Richard Ah Mat had a long career in the mining industry. As Executive Director of the Cape York Land Council, he negotiated with Rio Tinto, the historic Western Cape York Communities Co-existence Agreement, which provides royalties and employment across Western Cape York communities. 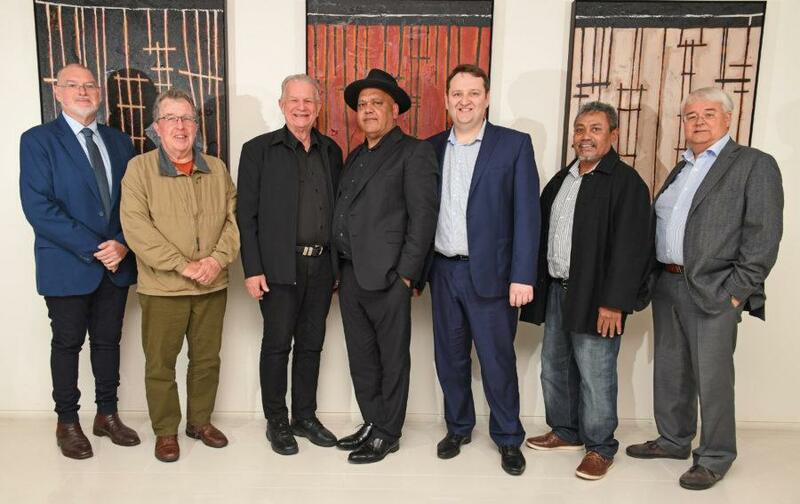 Richard was a member of the Prime Minister’s Indigenous Advisory Council and now Chairperson of the Cape York Land Council and co-chair of Cape York Partnership. Elizabeth O’Leary has completed a four-year tenure as Director and co-chair, having led the oversight of organisation development. Professor Richard Smith is retiring from public life following a long career in teacher education. GGSA is grateful for Elizabeth’s and Richard’s contribution over the past four years. Current board member, Tony Denholder, a partner at Ashurst, will co-chair the board with Noel Pearson. Kim Banikoff, former Director of the Queensland Studies Authority, also remains on the Board. The mix of new and longer tenured Directors enables Good to Great Schools Australia to maximise its extensive networks to advance improvement of Australian schools and support a tectonic shift in Australia’s education outcomes. Good to Great Schools Australia is a not-for-profit organisation that supports schools to deliver effective teaching and achieve sustained student academic improvement.